This fragrance is an elegant ozone, floral-floral inspired by the “Linden Wisteria Evening Coat” found in the YSL Retrospective collection. It is modern, yet timeless and truly lovely. “Ma Plus Belle Histoire d’Amour”, is the song sung to YSL by one of his great muses, Catherine Deneuve, at his last Haute Couture show. It speaks of the great love story between YSL and his dedicated clientele. By the later years, YSL had become and icon; a legend. Ma Plus Belle Histoire d’Amour speaks to the sense of greatness of the man and his work but also of the his clientele of this time; first ladies, heads of state, socialites and powerful, established women. 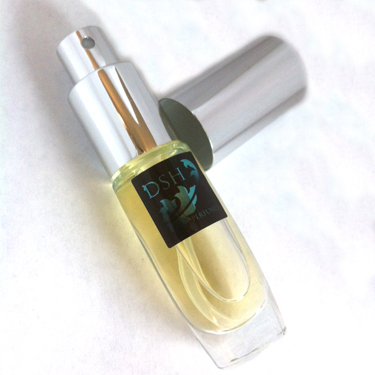 * EdP / VdP sample vials are 1/2 filled; Perfume / extrait mini roller sample vials are full. 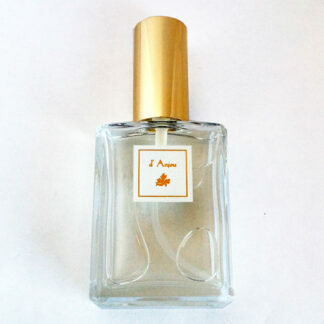 What a lovely and elegant feminine fragrance that I will enjoy wearing all Spring. On me the Lily of the Valley really dominates after the dry down. It would make a wonderful Easter gift.